CINCINNATI – Scientists used an experimental targeted molecular therapy to block a matrix-forming protein in heart cells damaged by heart attack, reducing levels of scarred muscle tissue and saving mouse models from heart failure. Researchers at the Cincinnati Children's Heart Institute report in the journal Circulation testing a manufactured peptide called pUR4 to block the fibronectin protein in human heart cells donated by heart failure patients. The treatment prevented the human heart cells from failing and restored their function. The treatment also reduced fibrosis and improved heart function after a simulated heart attack in mice. Fibronectin is normally a good actor in the body. It helps form a cell-supporting matrix for the body's connective tissues, aiding tissue repair after injury. 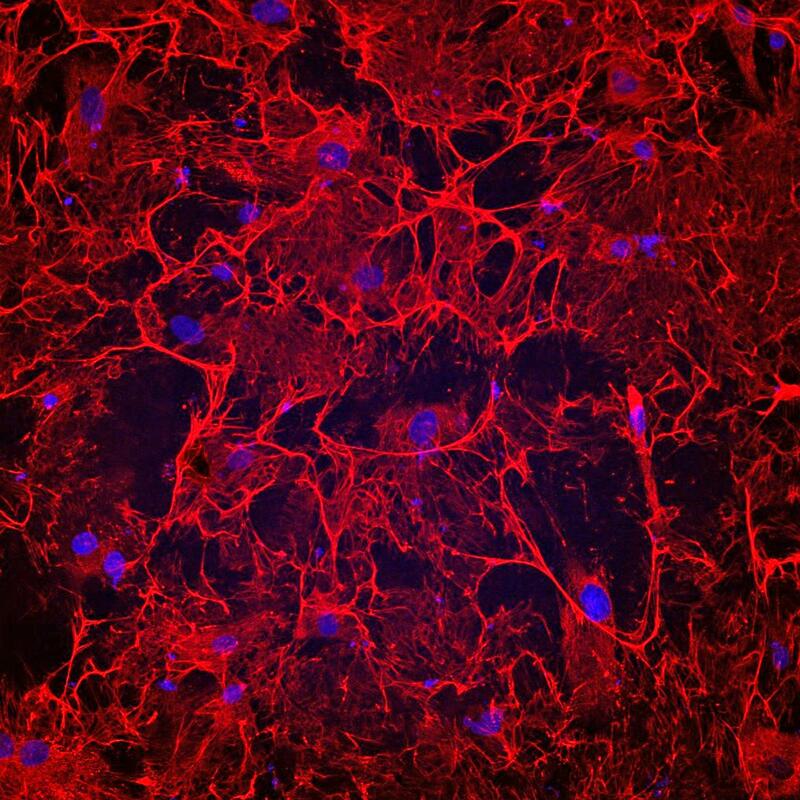 "Our data are a strong proof of principle and the first to show that inhibiting fibronectin polymerization preserves heart function, reduces left ventricle remodeling and limits formation of fibrotic connective tissue," said the study's lead investigator Burns Blaxall, PhD, director of translational research in the Heart Institute and the Center for Translational Fibrosis Research. Although heart disease is the leading cause of death in the world, few effective treatment options are available for patients–many having had a previous heart attack or congenital heart disease. The pUR4 molecular treatment used in the current study is one of several compounds Blaxall and his colleagues are testing that show promise in preliminary preclinical research data. The researchers emphasize it's too early to know whether the experimental therapy in this study can one day be used to treat human heart patients clinically. Extensive additional research is needed first, including proving pUR4's safety in larger animal models and then moving on to establish proof-of-principal effectiveness treating heart failure in those models, according to Blaxall. Funding support for the study came in part from the National Institutes of Health (R01HL132551, R01HL133695, R01HL134312, P01 HL069779, R01 HL123658, R35GM119458), and an American Heart Association-Great Rivers Affiliate Post-Doctoral Fellowship.